I love Joovy products and they are offering Choice of Joovy Caboose to a lucky winner! If I were to enter and win, I would select the Joovy Caboose VaryLight stroller. 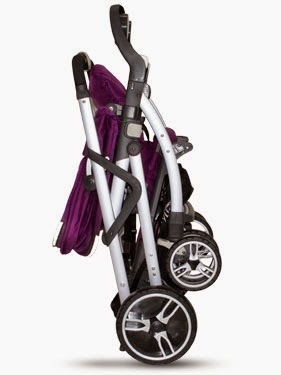 This is seriously an ahmazing looking stroller that has so many different combinations to fit your growing family. 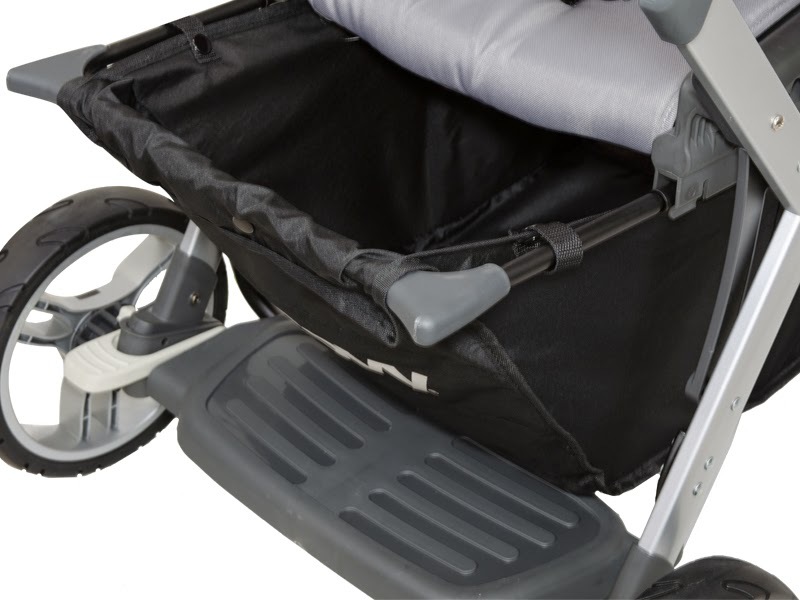 The Caboose VaryLight includes a unique telescopic frame that expands the stroller from a single to a full-size double in seconds. In it’s compact position (43.5 inches long), the Caboose VaryLight can be used as a standard single stroller or with a newborn in an infant car seat. In this compact mode, there is still enough room for an older child to stand on the rear platform. When strolling with two children, the frame extends to provide more room for your older child to sit on the rear bench seat – even when the front seat is fully reclined. The older child also has the option of standing on the built-in platform. We know that older children love this feature as it allows them to easily hop on or off. 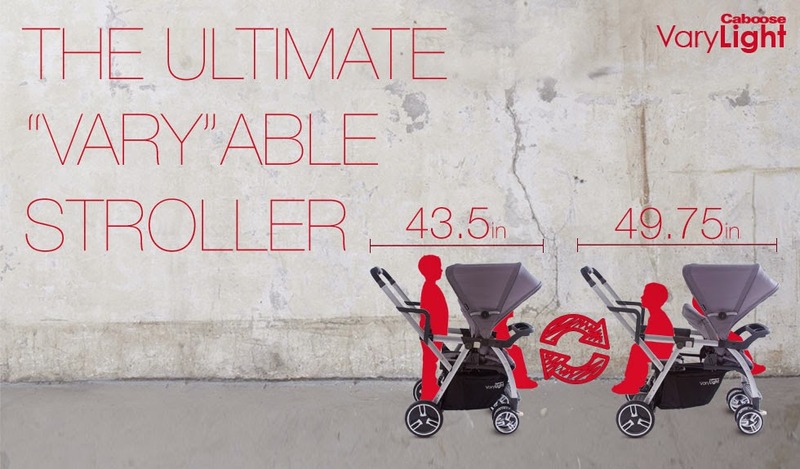 The stroller measures 49.75 inches long in extended position. The VaryLight features Joovy’s new buckle system for securing children comfortably into the seats with a 5-point harness in the front and a 3-point harness in the rear. A swing-away tray that can be attached in either front or back to hold snacks and drinks, and an oversized canopy with sun visor extension provides extra protection. The wheels on the Caboose VaryLight offer an exceptional ride – featuring polyurethane tires and sealed bearings to ensure smooth handling and superior maneuverability. Quick-release wheels make it easy to take off the wheels for storage. With a one-hand fold, the stroller can fold up easily in the single or extended position. Parents with infants have a choice of mounting select infant car seats in the front or rear of the Caboose VaryLight with our car seat adapters (sold separately). Other accessories available are a custom rain cover that expands to fit the VaryLight and a parent organizer with cup holders. The real beauty of the Caboose VaryLight is not just in the modern frame and contemporary styling, but rather that in a matter of seconds, parents can change the seat configurations to accommodate the needs of their family. JPMA certified. What would you choose if you won? Good Luck! The Ergo Caboose would be best for us because it can haul a lot and I know that my son would have no problems standing at the back. What a great stroller. I like the Caboose Ultra Light and I am loving the purple color. My grandson would love riding in back also. I love the blueberry ultralight caboose! This looks incredible for my kids who are always wanting a ride! Seriously these new generation kids get THE best things. This stroller is so convenient. The caboose ultralight. I would take my daughter and nephew for a walk.